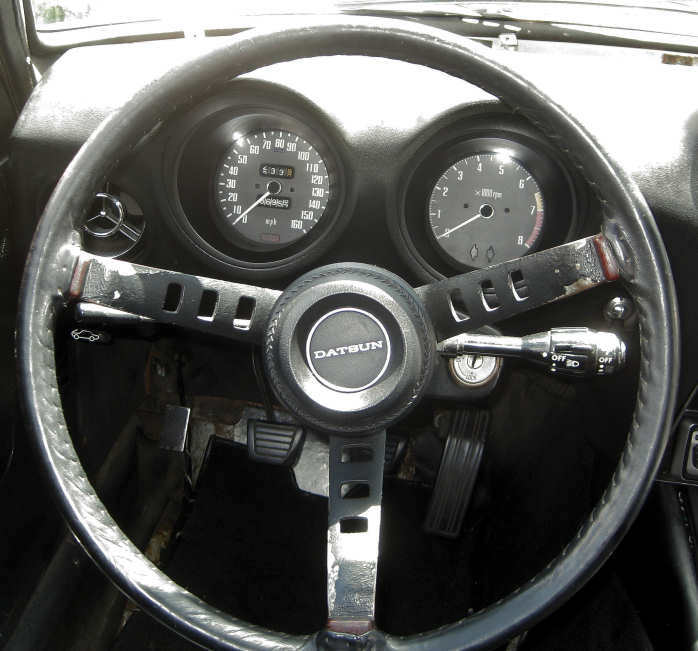 If your steering wheel is still sound, some elbow grease, polyurethane and satin black paint and you can bring your steering wheel back from the dead. 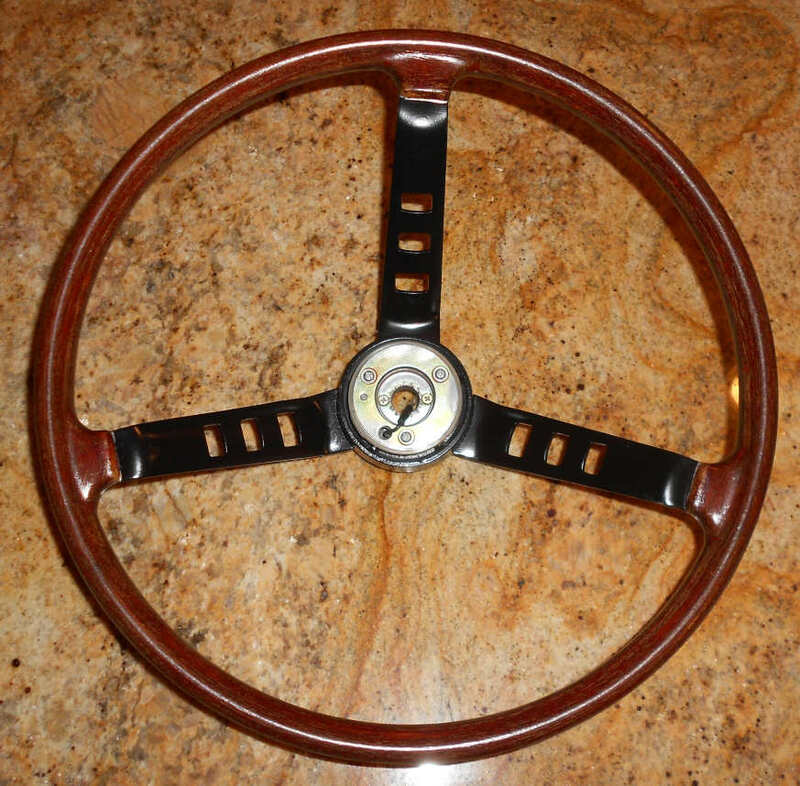 I renewed the stock steering wheel, though I don’t plan to actually use it (I’ll just keep it ‘in the trunk’ for shows). I took off the faux leather wrap. 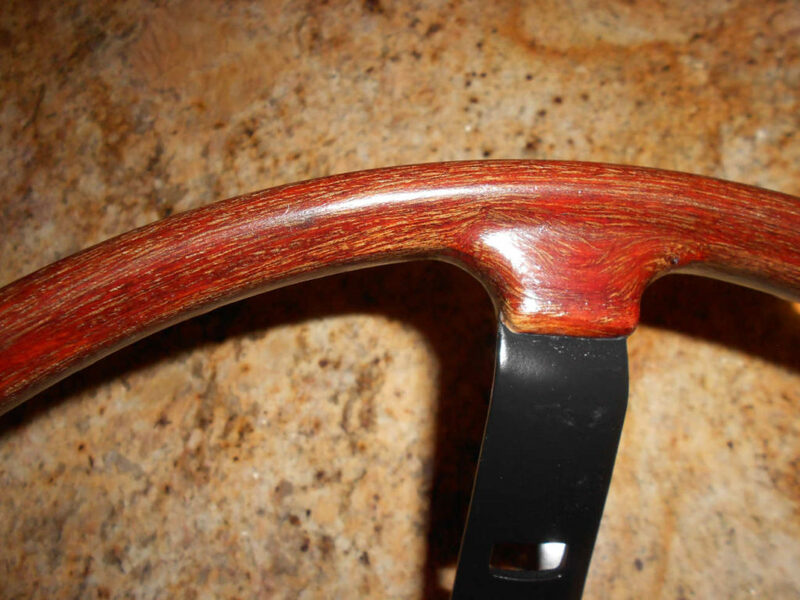 Wood portion of the steering wheel was dirty, but in good shape. The spokes were peeling, but otherwise sound. I carefully wire-wheeled away the old paint, 2 coats of Rustolium bare metal primer, sanding between each coat, then 2 coats of Eastwood satin black chassis paint (left over from the gas tank restore). 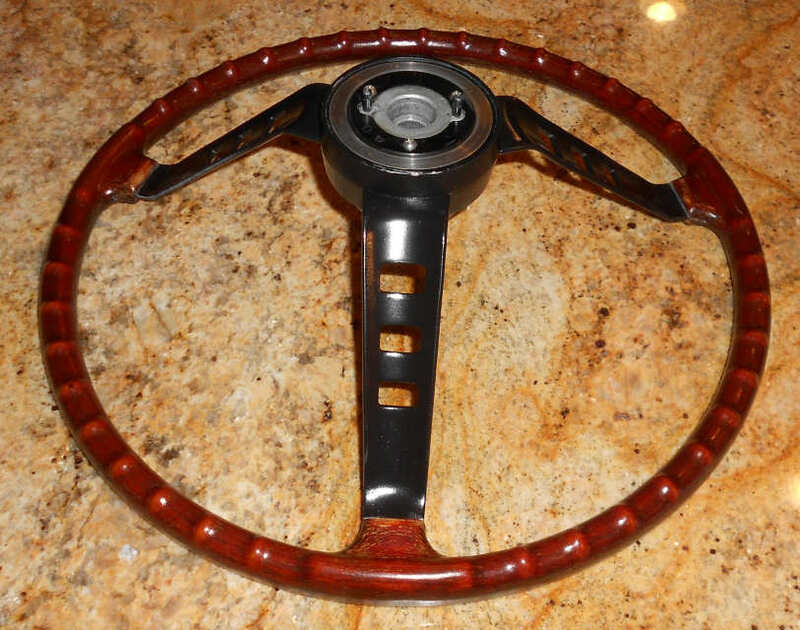 I gently scrubbed the wood part of the steering wheel with a Scotch Bright pad while flushing with water until the water ran clear. Don’t overdo it, those pads are more abrasive than you might think. A gentle sanding with 400 grit, and 3 coats of a satin, water-based exterior polyurethane. Results are quite pleasing.